Celebrating the life of Leo Franklin Pase, Jr.
Be the first to share your favorite memory, photo or story of Leo. This memorial page is dedicated for family, friends and future generations to celebrate the life of their loved one. 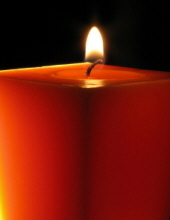 Obituary for Leo Franklin Pase, Jr.
Leo Franklin Pase, Jr., age 76 years, a resident of Coalton, WV departed this life Saturday evening, March 16, 2019 at Cortland Acres at Thomas, WV. He had been in declining health although death was unexpected. He was born Wednesday, January 27, 1943 at Thomas, WV a son of the late Leo Franklin Pase, Sr., and Anna Veronica Ross Pase. Surviving are his companion JoAnn Bambino Yeager of Coalton; one son, Captain Christopher Colin Pase and wife Tina of VA; one grandson Caleb Michael Pase; three step grandchildren, Tyler, Ryan, and Kyle; his former wife, Barbara Eamigh and husband Robert of VA; two aunts, Edith DiBacco of Thomas, and Betty Ross of Elkins; and several cousins who he was very close with. Preceding him in death are five uncles, Lawrence, Julie, John, Guido and Carmen L. Ross, and three aunts, Frances Triplett, Mary DiBacco and Antoinette Elizabeth Colabrese. He was a graduate of Coalton Twelve-Year School with the Class of 1960, had worked as a Cabinet Maker in Thomas, and later as a Fingerprinting Supervisor for the FBI for thirty-five years previously working in Dale City, VA and later at Clarksburg. He was a member of Saint Patrick’s Catholic Church at Coalton. He loved fishing, hunting turkey and bear, traveling to hunt, and collecting anything to do with hunting. He enjoyed mowing his and other people’s lawns. Mr. Pase’s request for cremation was honored. A Memorial Service will be held at a later date. To send flowers or a remembrance gift to the family of Leo Franklin Pase, Jr., please visit our Tribute Store. "Email Address" would like to share the life celebration of Leo Franklin Pase, Jr.. Click on the "link" to go to share a favorite memory or leave a condolence message for the family.